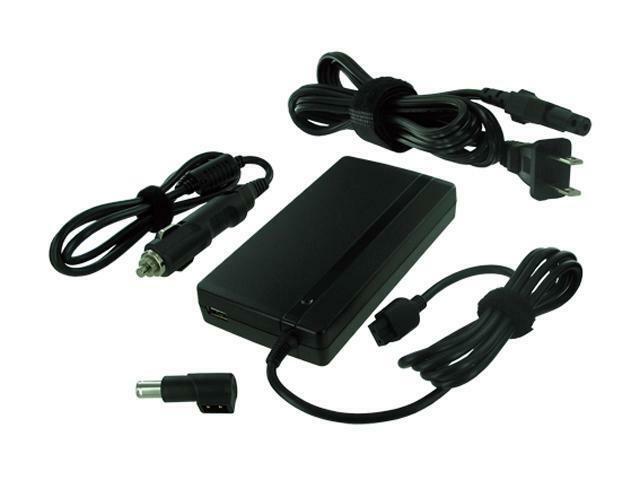 This 90W universal notebook Auto/Airline/AC Adapter for use at home, in the car and on the plane. USB port allows you to charge a phone, PDA or iPod while charging the notebook. Small size and energy efficient. 90W universal notebook AC/auto/air adapter for use at home, in the car and on the plane. USB port allows you to charge a phone, PDA or iPod while charging the notebook. Small size and energy efficient. 5.63" x 3.00" x 0.91"
View other products from Battery-Biz Inc.
Cons: Battery Biz website is mis-leading and they tried to blame it on Newegg. They offered no help and would not take any ownership over there bad business practices..
Other Thoughts: I will never buy anything with "Battery-Biz" in the name!!! !